in three avonolignins: silybin, silydianin, and silychristin. Together, these are known as silymarin, the bio avonoid complex responsible for milk thistle’s powerful protective and regenerative activities in the liver. The liver is the body’s detoxifying organ, disabling toxins such as ethanol, environmental poisons, pesticides, and certain pharmaceuticals. In addition to its detoxi cation properties, the liver plays an essential role in protein, carbohydrate, and lipid metabolism, cholesterol synthesis, bile secretion, and storage of fat-soluble vitamins. When damaged or diseased, the liver’s ability to eliminate toxins and perform its numerous other functions may be severely impaired. Silymarin enhances normal, healthy hepatic function through three primary actions. Silymarin protects liver cells by blocking hepatotoxic substances from crossing cell membranes, serves as an antioxidant, and stimulates cell regeneration. Silymarin protects liver cells by acting at the cell membrane. By binding to the outer membrane, silymarin prevents harmful toxins from entering the cell, thereby protecting against liver intoxication. Silymarin appears effective in protecting the liver from deleterious effects of both acute and chronic toxin exposures, including that of ethanol, hepatotoxic medications, such as excessive acetaminophen, poisonous fungi, and environmental pollutants. Silymarin further protects the liver as an important component of the liver’s antioxidant defense. The liver generates potentially damaging, toxic free radicals and reactive species (e.g., peroxides) as a result of its normal metabolic and detoxifying functions. Left unchecked, these radicals can initiate a chain reaction of lipid peroxidation, causing damage to cell structure and interfering with normal cell functions. Fortunately, silymarin interrupts this course of free radical damage. As an antioxidant, silymarin quenches free radicals, thus protecting against lipid peroxidation. Further, silymarin enhances levels of glutathione and superoxide dismutase, two primary antioxidants in the liver. As a consequence of its antioxidant activities in the liver, silymarin decreases the free radical quenching load of glutathione, thus sparing it from depletion. Similarly, silymarin spares superoxide dismutase in the liver cell, thereby increasing both the amount and activity of superoxide dismutase in both hepatic and red blood cells. In addition to its protective functions, silymarin stimulates damaged liver cells to regenerate. In the cell nucleus, silymarin activates ribosomal RNA via RNA polymerase 1, leading to increased production of ribosomes. By augmenting the production of ribosomes, the cell organelle responsible for protein synthesis, silymarin stimulates protein synthesis in the damaged cell. This results in expedited cell regeneration, the replacement and repair of damaged cells. 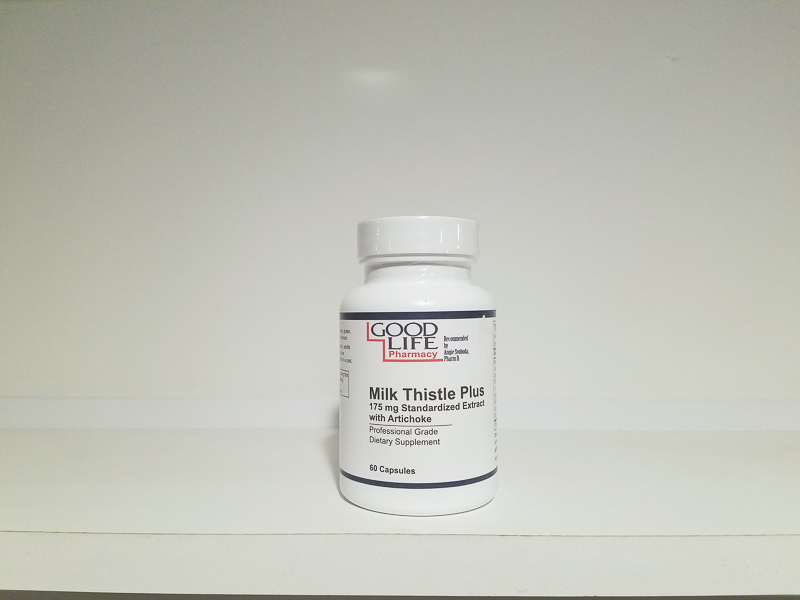 Milk Thistle is a signi cant source of silymarin, a powerful bio avonoid complex that has antioxidant, protective, and regenerative functions in the liver. Milk thistle’s role in protecting and supporting healthy liver function is well documented in the scientific literature.